Payne’s are best known for Poppets, a chocolate-coated toffee confectionery. George Daniel Payne (1845 – 1927) was a tea buyer and blender for Brooke Bond. A forthright figure, Payne established George Payne & Co, tea and coffee blenders, from 1896. The factory was at Queen Elizabeth Street, Tower Bridge, Bermondsey. James Finlay & Co, a Scottish tea merchant, held a 30 percent stake in the venture. George Payne & Co blended and packed own-label tea for J Sainsbury, a grocery chain, under the Red Label name, from 1903. Expansion into cocoa in 1905 led to their entrance into the confectionery market from 1910. To accommodate increased production, the Tower Bridge factory was extended to five storeys. 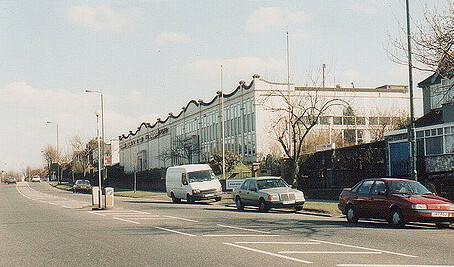 A new confectionery factory was opened at Croydon Road, Beddington in 1919. It prospered by concentrating on a limited number of product lines. George Daniel Payne died in 1927 and left a gross estate valued at £81,491. The Tower Bridge factory was rebuilt following a destructive fire in 1929. The Poppets trademark was first registered in 1936. Poppets quickly became a leading product for the firm. The firm continued to have a significant own-label tea and coffee packaging business. George Payne & Co employed 500 people by the late 1930s. Robert Henry Payne (1892 – 1946), chairman and managing director of George Payne & Co, died with an estate valued at £163,567 in 1946. Following the death of R H Payne, James Finlay & Co increased its stake in the firm to take overall control. The Tower Bridge site was closed in 1990 and tea processing was relocated to a new site near Doncaster, Yorkshire. Just Brazils was a top ten boxed chocolate by 1996, and Poppets was the eighth highest selling children’s confectionery. The Payne’s confectionery business was acquired by Northern Foods for £10 million in 1998. According to research by Candy Industry magazine, George Payne & Co was the 48th largest confectionery manufacturer in the world in 2000. It had an annual turnover of $120 million, and employed 500 people. 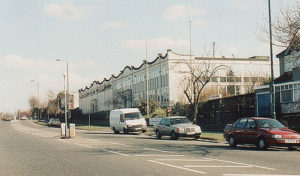 The Beddington factory was closed in 2001, with the loss of 157 jobs. The site was outdated, with limited potential for growth, and production was relocated to Leicester. Northern Foods sold its confectionery arm, including Fox’s glacier mints as well as Payne’s, to Big Bear for £9.4 million in 2003.